We LOVE the "Waterfall" edge. Today I have five kitchens with the very cool Waterfall edge on the Islands. 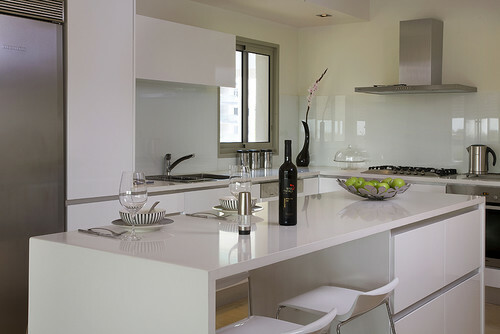 This first kitchen has 2 cm CaesarStone countertops. 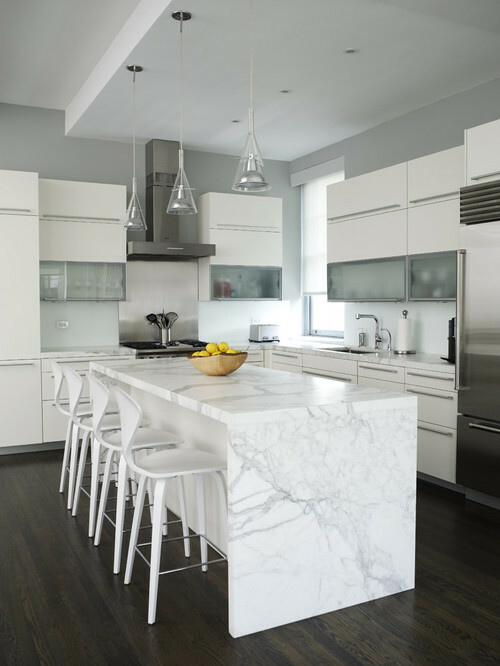 Stunning marble in this kitchen! When you have a beautiful slab this is a great way to showcase it! Stunning. So do you think that the waterfall edge really only lends itself to a more modern design? I would say all of these pictures seem to show that, but you must have a better idea of whether that's really the case. You know, I was thinking about that last night as I was putting together this post. I'd say in general it's more of a modern design element. 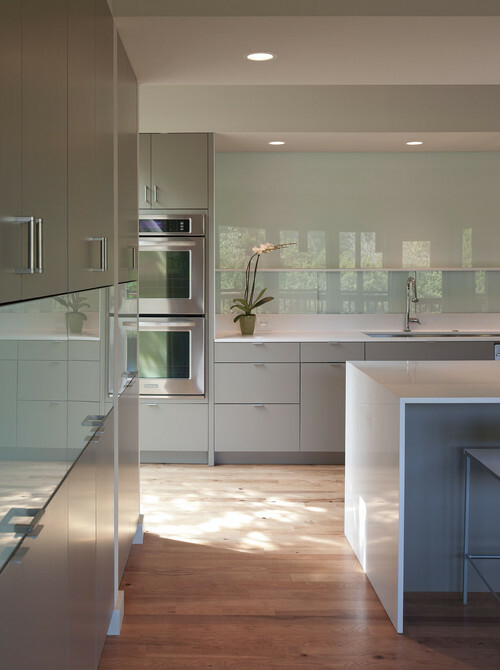 While scouring the web though I found quite a few kitchens with the Waterfall edge that weren't necessarily modern. I think it has a lot to do with the cabinets and the stone. On that note, I've seen a waterfall edge that was done with a different edge profile (i think it's called shark nose) and a miter joint. This gave it a softer look that would look great in a more transitional design.